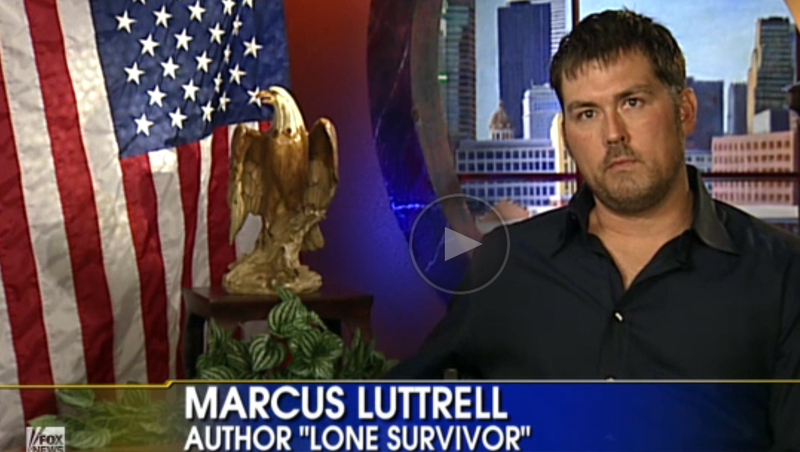 Marcus, you are such a hero, and what you have done to protect me and my family is beyond my words of appreciation. I recently learned of your story of sacrifice and your service dog. I breed European Doberman that are exceptional dogs. I have three that are service dogs right now. Two for PTSD and one learning to do CPR on his owner who is quadriplegic so he may become independent of his ventilator. I would be honored to give you one of our extremely special dogs. We have an exceptional red female named Vega who is 14 weeks old that I am keeping who I would love to give to you, or we will have several litters in 12-18 months. Vega is a very laid back, happy, loving, gorgeous, and huge dog. She will be about 95 pounds and is a show stopper. Here she is with our 11 month old. http://youtu.be/TJGPeEr6WZ8 Please email me if you are interested. Thank you again for your service. I saw your interview today on Fox. I know what its like to lose guys (OEF 8-9). Just wanted to send prayers. We run a small family business in Australia called Ringlord Kennels and we know the joy and peace that all dogs bring to their owners and to us as well. We are so sorry for your loss of DASY, it is never easy. We had over 55 dogs with us over xmas and each one of them has an individual personality and is so much fun. If you want a laugh, you can search youtube and put Ringlord Kennels in to see the fun we have with the dogs. Digger is my favourite, hes a water baby haha. Good on you for tracking down the individuals who murdered Dasy, and for controlling what would have been an incredible urge to take things further when you caught the individuals. I hope your new dog remains you best friend for many years to come, Dogs are amazing in so many ways.